Welcome to spring time at Mike's Paddle! Every year we open the Stand Up Paddle season with fun activities to welcome all paddlers back on the water. 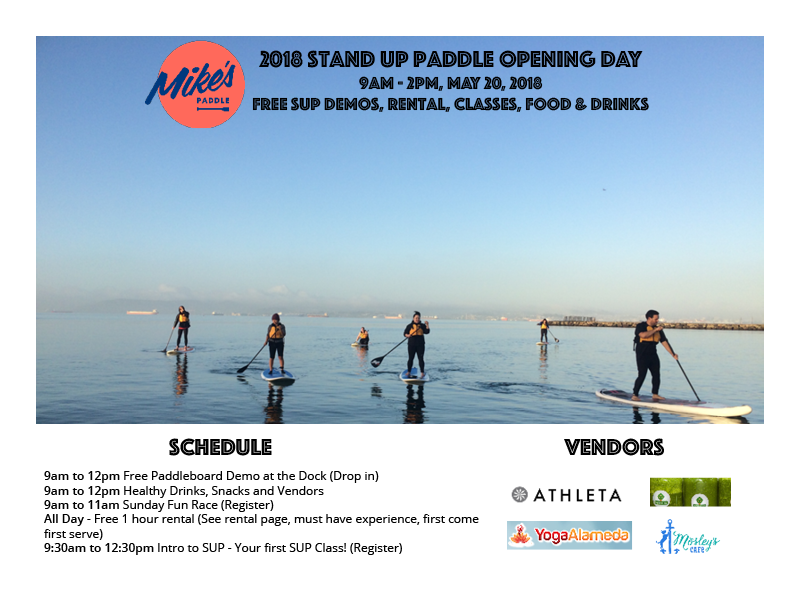 It's been a long winter and we'll be celebrating the seasons with a fun race, social paddle, free demos and rentals, classes and food and drinks!